While many kids would just like some money to spend on iPhone app or the latest videogame, investing in some fun gift ideas that can get kids active will really help to keep them healthier and more social. Here are some awesome birthday gift ideas that you can use for getting kids active. 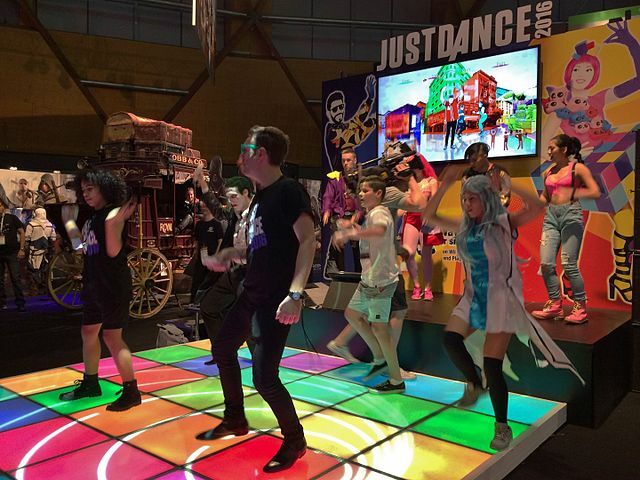 Yes, the Just Dance idea is still them playing a video game. But, the difference is that they’re moving. They’re not sitting on the couch, shooting at things and whatnot. Just Dance is a game that will help them learn how to dance and have a good time. (They’re also getting exercise without even realizing it.). Just Dance video games can be found on many game systems and in several versions. They can dance to music they already know, or they can dance to music their parents listened to. They can also buy new songs for them to try out dancing to. What makes this version of basketball different from traditional basketball? It’s equipped with many sensors and an application pack that hooks up to educational apps on tablets and smartphones. It teaches kids how to properly play the game using the ball’s sensors. With this app, kids will be able to improve upon their dribbling skills, shots and more. Think of it as a ball and coach that helps them to feel confident in their game-playing. 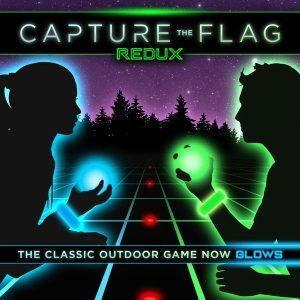 Do you remember the Capture the Flag game? Well, this fun glow in the dark game is a spin-off of the original. It’s a great activity for kids and adults to play at during the nighttime hours. 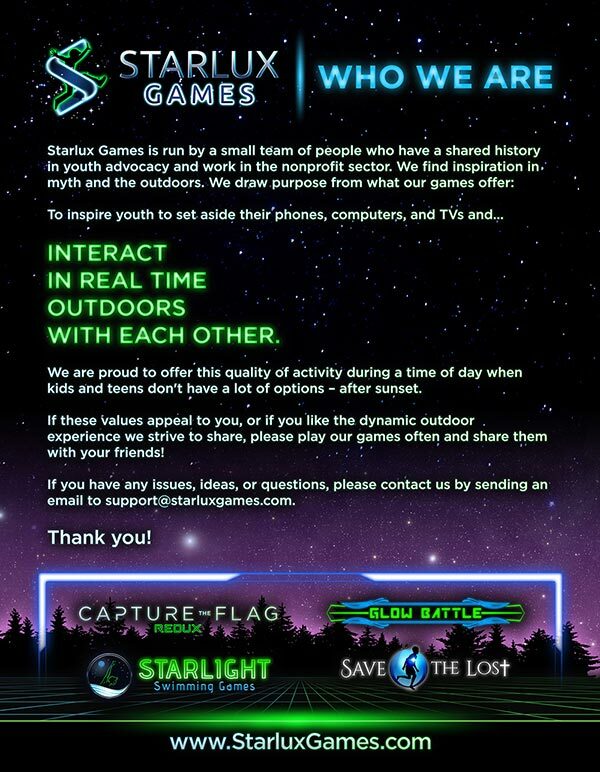 It comes with items that will glow so that you can find the players while you play and capture the flag. The Capture the Flag REDUX kit comes with enough items to handle a 5 on 5 game. Kids can capture the glowing orbs while protecting their bases and using armbands that glow to identify their team. It’s a great birthday gift to bring together a group of friends or the neighborhood kids. One great way to ensure kids, even those too young to ride a bike without training wheels, can stay active is to invest in a pedal car. How can pedal cars keep a child active? Pedal cars have four wheels that operate under kid power. They can be driven along the driveway, in the neighborhood or even a basement. It’s even ideal for those times of year where the weather doesn’t allow outside game playing – think winter, storms, excessive heat, etc. 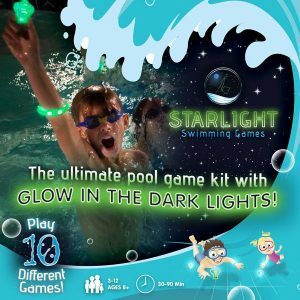 If you have a swimming pool, glow in the dark swimming games like our game Starlight Swimming are a blast to play with family and friends. And, swimming is one of the best exercises available for both kids and adults. When you’re tired of giving cash or gift cards that are spent willy-nilly, consider any of the four above gifts to get the kids moving. They’re bound to love it without realizing it they’re getting exercise and being socially active. These certainly aren’t the only ideas out there – but hopefully they inspire some new thoughts. If you have your own ideas and suggestions, please don’t hesitate to share them with us!